To share our passion for improving quality of life through innovative health care one person, one family, and one community at a time. 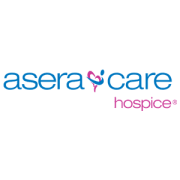 AseraCare subscribes to the philosophy of this modern day hospice. We believe that hospice care affirms life. We exist to provide support and care for persons in the last stages of incurable diseases so that they might live as fully and comfortably as possible. We recognize dying as an inevitable process, and strive to preserve the dignity of the dying patient by emphasizing the quality of life rather than the duration of life.